Of course, the title of this article is somewhat misleading. We know, albeit intuitively, that ballet requires and adheres to movements that follow the laws of physics. However, do you understand the connection between physics and ballet explicitly? One man, Kenneth Laws, a physics professor and late-blooming ballet dancer does. And he’s written several books and articles on this very topic over the past twenty years. In 2008, Discover Magazine, a general interest science monthly, wrote a feature article about Laws and his work. The article details how Laws began with ballet, which is an unusual case in and of itself. His seven-year-old daughter had expressed interest in taking ballet lessons. Laws’ son, sensitive to being excluded, jumped on the ballet bandwagon as well. Subsequently, Laws himself decided to begin ballet lessons at the spry young age of 40. Although son eventually dropped it and daughter continued for almost a decade, Laws was obsessed and continued dancing until health issues required him stop three thirty years later. He still writes and lectures frequently about understanding ballet movements through physics, and he even taught ballet for a number of years as well. The Discover article noted that Laws had in the past received criticism for his work in attempting to reform ballet instruction by looking at the art and practice of dance through the lens of physics. The Philadelphia Inquirer had once accused him of “reducing ballet to a science.” This, of course, is not a very new argument, as artists and scientists alike have tried to keep their spheres of influence separate in the past. Laws, however, vehemently disagrees with such an assessment. “When I first started speaking on ‘The Physics of Dance,’ I would ask the audience how many were involved with science, and how many involved in dance. Then how many consider themselves involved in both? Twenty-five years ago, the third category was empty. Now perhaps a quarter of a general audience will respond that they are involved in both! I consider that a triumph. Interested in picking up one of Kenneth Laws books? Have you read or studied the works of Kenneth Laws? What was the most surprising thing you learned from his research and texts? Tell us in the comments! Editor’s note: While in college I had the good fortune to attend a lecture demonstration presented by Kenneth Laws to a small group of my fellow dance students. It was fun, exciting, and enlightening to explore some of the concepts of physics through dance and visa versa. 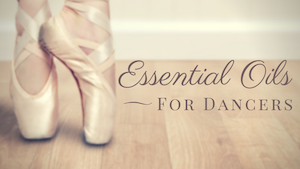 We looked specifically at the pirouette and grand jeté, receiving some most surprising and useful insights. I’ve talked about this very workshop in 9 Tips for Improving Pirouettes (under Food for Thought) and the concepts of arcs, parabola, and timing came out in the comments for A Jeté That’s Truly Grand. I highly recommend Dr. Laws’ books to teachers. Your students will benefit when the studio occasionally becomes a laboratory! Donna Reish, a freelancer who blogs about best universities, contributed this guest post. She loves to write education, career, frugal living, finance, health, parenting relating articles. She can be reached via email at: donna.reish13@gmail.com. Love his books, and his science, beautiful work!!!! Very interesting! I will definitely be checking out the books. Jenn, thanks for commenting! So glad to turn people who may be unfamiliar on to this work and understanding! As a dance science professor with a PhD in dance medicine and science, I wholeheartedly endorse Kenneth Laws’s work. Such an incredible blend of physics and dance. Basically, you can’t have the art unless you have the science! It was interesting to me, having been ‘raised’ in the academic world of dance within the last decade, that Laws faced a level of hostility for his work in bringing science and art together. The two fields have come together more than ever in no small part due to his efforts. Also, having come through that academic system of dance where Laws and the concepts of science and physics are now much more present in the curriculum, and knowing what a difference it made in my dancing, I feel it important to help make non-academic schools and studios more aware. Thanks for your encouragement. As for your comment about making dance science accessible to non-academic settings, that is EXACTLY why I started http://www.choreohealth.com and wrote the curriculum Choreohealth: Science and Wellness for Dancers. I want to reach dancers with good info before they get to us at the university level!